The value of coaching in sports can hardly be underestimated. Outside of the world of elite athletics, not many can afford the luxury of one-to-one coaching, or even coaching at all. However, the benefits of technical coaching and psychological mentoring can be immense, even if the coaching is delivered over a short (but intense) period. As climbing evolves and becomes more mainstream, the old, classic climbing career is increasingly rare. No longer is it normal to make pilgrimages to Yosemite Valley (What do you think is the European equivalent of a climbing mecca? ), dirtbag from crag to crag, and get taken under the wing of some badass old-timer. For a beginner climber, instruction is crucial. An good instructor can safely and efficiently teach all fundamental gear-related skills, as well as some basic and intermediate movement techniques. They provide a new climber with most or even all of the tools they need to climb safely. Coaching takes things a step further: it’s focused not on the minimum required skill set but instead on the maximum potential. And this is not to say that one or the other is better - they are just different with each having the right time and place. At Rockbusters, we believe that both are equally important. Although coaching is usually associated with advanced or elite athletes, we think that climbers can benefit from it regardless of their level. Of course this will look differently for a 6b or an 8b leader, but both can still practice skills such as advanced movement, OS or RP strategies and head game. For both, honing these will result in a better climbing experience and results. 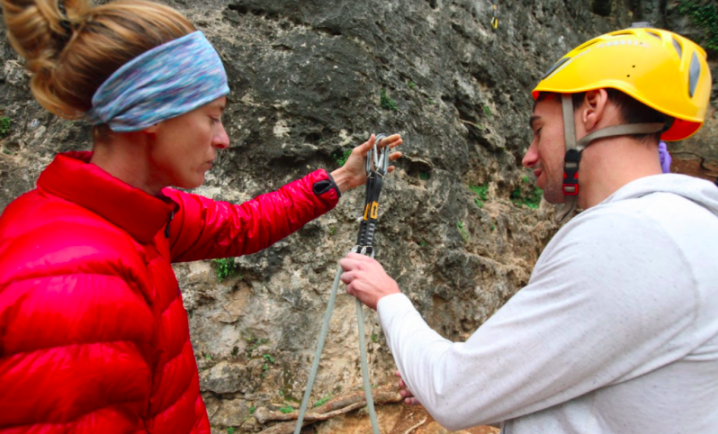 When elite climbers provide coaching and mentoring to those less advanced, they essentially hack their progress. High level athletes often have an excellent understanding not only of training but of what it takes, physically and mentally, to perform better and better. They have experienced the ups and downs of trying to push it themselves and in a much more intense way than most. After all, their bread and butter is constantly raising the bar. 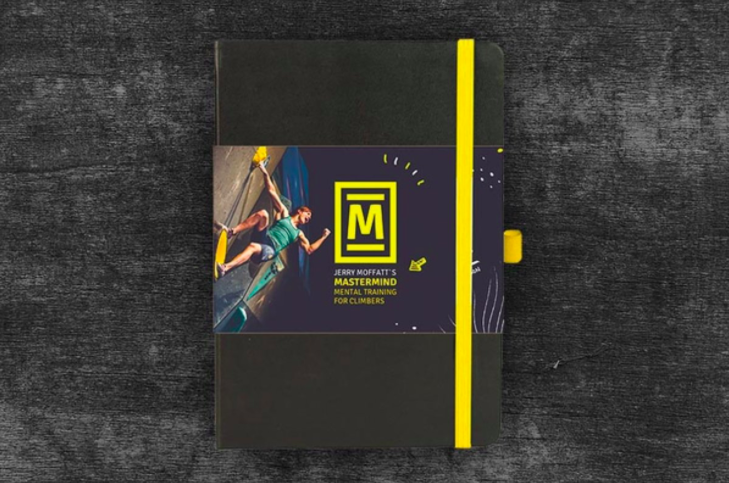 Of course, not every athlete has the ability to successfully coach and mentor others, but exceptional individuals such as Klemen Becan, Daila Ojeda, Adam Ondra and Hazel Findlay have the right skills and attitude. Patxi Usobiaga took his game a level further, becoming a training expert, not only push his own climbing but to help others - from beginners to Adam Ondra! Eva Lopez is so passionate about finger training that she wrote a whole doctoral thesis about it and designed her own fingerboard and Hazel Findlay specialises in psychology fear. Being mentored by an elite climber, you gain access to their wealth of knowledge and experience. Focusing on your specific strengths and weaknesses, pointing out little improvements possible straight away and roadmarks for future development, a coach can have a significant impact on your climbing both straight away and in the long term. Observational learning is a very important facet of development in any motoric or athletic skill. While it might seem to beautiful to be true but, just by closely observing an elite athlete’s behaviour, you become better yourself. The closer you look, the better - and it’s not only about particular motions on the rock (although that’s extremely important! ), but also about a much wider array of behaviours: demeanor at the crag, or attitude to failure or success. All these things add to the end result on the rock: sending or falling. "Observational learning can have an effect on psychological responses such as motivation to change or perform a behaviour, copying with fear and anxiety, and cognitions such as self confidence and self-efficacy." You can learn from the best by watching videos and reading books written by the world’s best performers. One of the most notable recent publications is Jerry Moffat’s Mastermind which focuses on the psychology of sport success.